Recently I posted a background I referred to as a "Bent-Tail" BG. A reader's inquiry reminded me just how obscure these characters are. I hadn't watched the "Bent Tail" cartoons in ages, so I pulled the DVDs and watched them this weekend. That of course led to time spent digitally re-creating backgrounds! 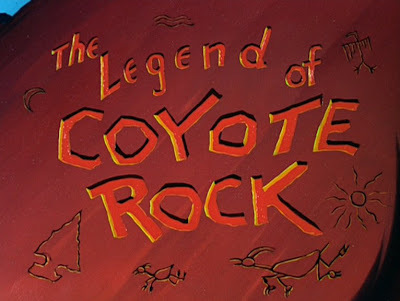 "Bent-Tail" and "Bent-Tail Junior" are a father and son team of coyotes, and appeared in just four cartoons, plus a 1961 episode of "The Wonderful World of Color." 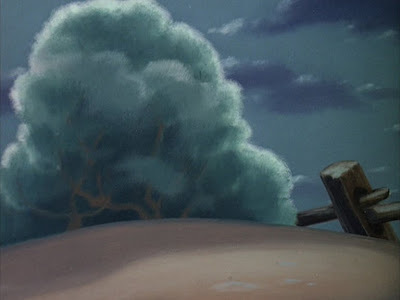 In the first cartoon "Dad" Bent-Tail appears alone, and "Junior" joined him for the last three. 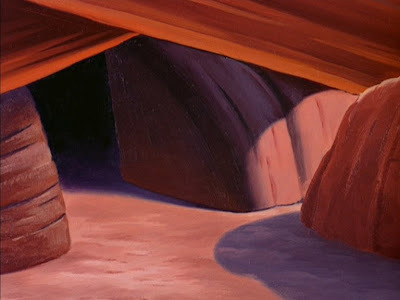 Most interesting, Disney's coyotes predated Warner Brothers "Wile. 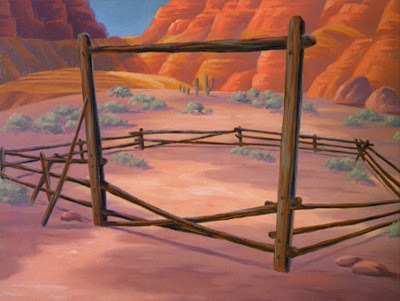 E. Coyote" by several years. Maybe Disney was the inspiration? We'll probably never know. 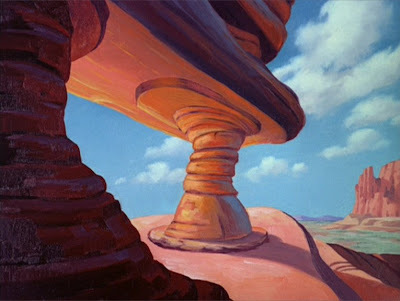 The backgrounds are wonderful, by artist Ray Huffine. Great old west style. The film opens with a great multi-plane pan shot. 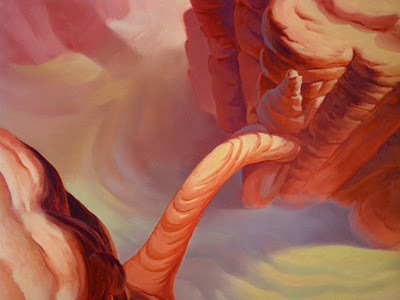 Now that you've seen the cartoon, let's have a good look at the beautiful background art. The first one has an unusual, unexpected color palette. Not sure if the look is inspired the Dakota Badlands or Arizona's red rock. Maybe both? The final B/G in this set is this stunning aerial view.